SideSync is a PC suite that helps you connect your mobile devices with PC. It is developed by Samsung and replaces its predecessor (Samsung Kies) with new features added to it. With Samsung SideSync latest version 2017, you can conveniently mirror your screen and share data between your PC and mobile device. 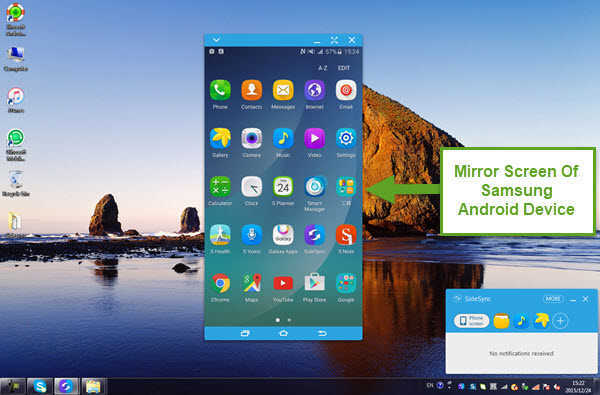 It bundles various other features like “Samsung SideSync APK Free” syncing alarms of your phone, making phone calls and sending text messages through your PC. 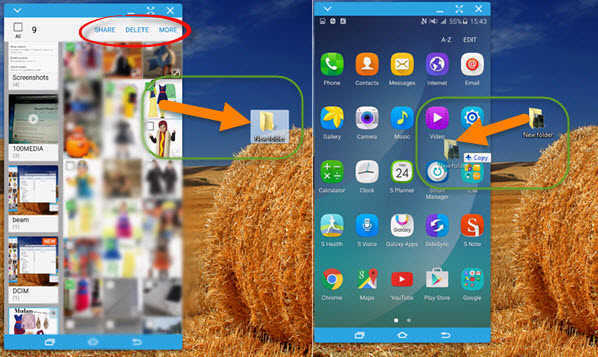 Samsung SideSync is very easy to use application, with its clean and clutter free interface. You can install it on PC and MAC. To use SideSync, you can install the application on PC and mobile device and connect them with USB cable or Wi-Fi. You can download the PC and MAC application from the links below. For a mobile device, you can download the app from the link below for “Samsung SideSync V4.1.1.3 APK” . SideSync is only available for Android devices. The latest feature that differentiates SideSync with Kies is that it allows you to make phone calls and send text messages through your PC. This feature already existed for the MAC OS users. With a push notification like feature, you will receive notifications for text messages and phone calls. You can receive phone calls or reply to the text message through the pop-up window. SideSync enables its users to drag and drop files as well as text that they want to share between the PC and mobile device. It provides the users with a variety of file types that they can share. Also, you can transfer a file on your PC to your mobile device storage while you are sending emails or text messages. 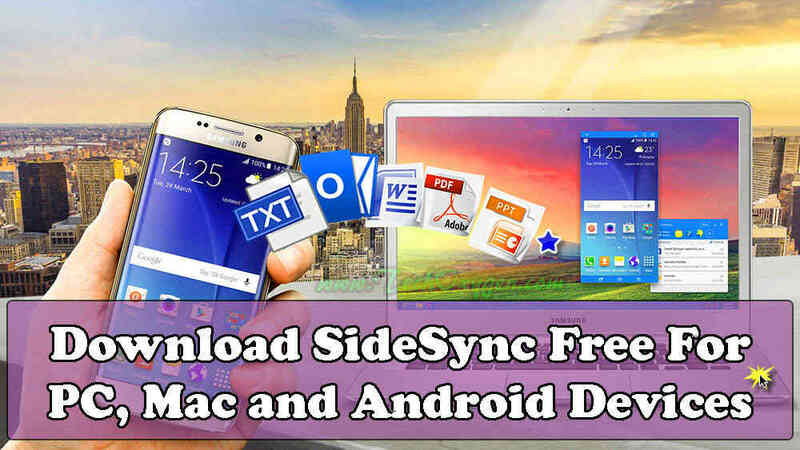 These are the links to download SideSync for PC, Mac and Android Devices with a direct link to ‘download Samsung SideSync APK’ for smartphones and tablets. Below are the recommended requirements for Sidesync. It is better to check the requirements, before installation of SideSync on your PC/Mac or Android device. First Download the apk file from the link given above. Enable “Unknown sources” by going to Phone Settings and Security. 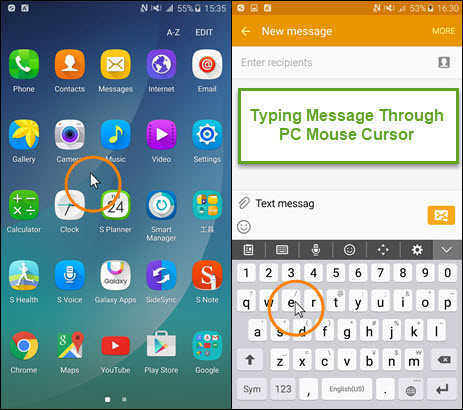 Tap on “Samsung SideSync_v4.1.1.3.apk” file and follow the on-screen instructions to install. You can now launch and use and ‘Download Samsung SideSync Apk’ and start syncing data between your mobile device and PC. The CRM (Customer Relationship Management) software is a vital component of what you will need in order to be a good technician in a real world. Again you guys are just hammering away or CCNA’s in the “Microsoft Cerrificaitons” and “CRM Software” is one of those things that you don’t thing about and sadly real professionals don’t even take it seriously enough and therefore their careers don’t go as far as they could. Because they are not using an incredibly valuable tool. CRM or Customer Relationship Management software is essentially all theat is built to do is help you manage your relationship with your customersor your clients. Now you will see this in many different facets so you might see it in some type of “Help Desk” software if you’re used to “Help Desk” Software, also known as “Ticket Tracking” software that is a CRM Software. 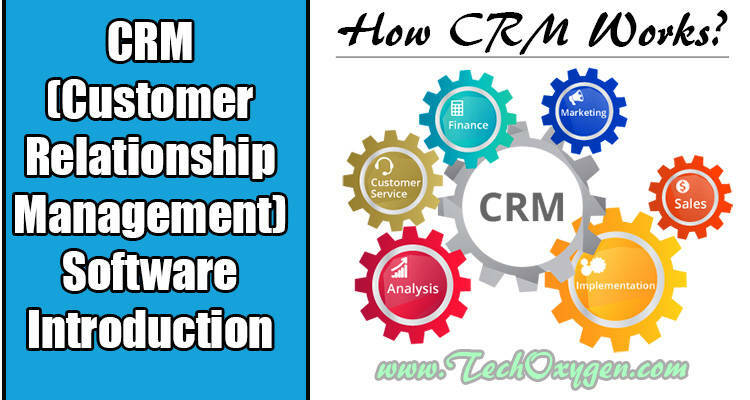 How CRM (Customer Relationship Management) Works for the Business? People that are trying to gain Sales Leads and close the sales actually you know get some money going back and forh, they can use CRM Software. As well as with Projects a lot of the projects that are going on now really are more CRM Oriented tasks rather than the Old-fashoined Project management. 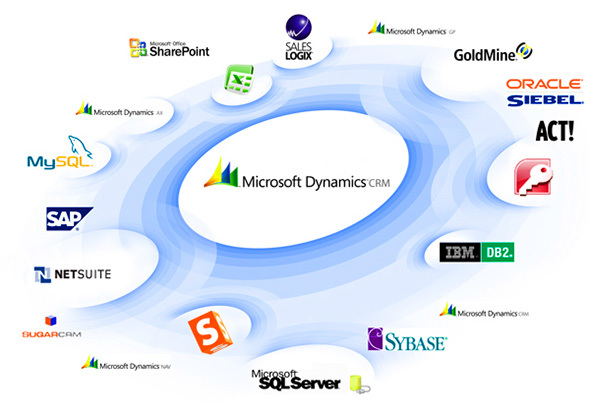 The Main thing that you have to understand “What CRM Software is? or What it is trying to do?”. Main thing which CRM Software works for you is to make that you don’t lose track of all the tasks that are required for the relationship with your Costumer in a business. When you get into the enterprise world you’re trying to close sales the one thing that is very difficut for most people to learn. Is that the Easiest way to Close a sale is to act as if you don’r really care if a sale gets closed. So the Easiest way that close the Sales is by having an infrastructure that allows you to do that very easily. With the CRM Solutions when you are dealing with Sales, What will happen is whenever you get a Lead you’ll come up with a process for how you deal with a lead. Simply get that lead and put their information in and then you can also send them an email. Then you have an automatically set up to remind you in a week to call them. This is very powerful for closing sales, It allows you to remember to keep reacing out to the sales leads but make it seems like spur of the moment. You can plug into a CRM Software to say “Drop into this persons office in Six months” and then you can completely forget about it. And in Six months from now you’ll get the little notificaiton that pops up and says “You should drop in this “Guys” office to see if he now has the budget in order to buy the product or service you’re trying to sell.